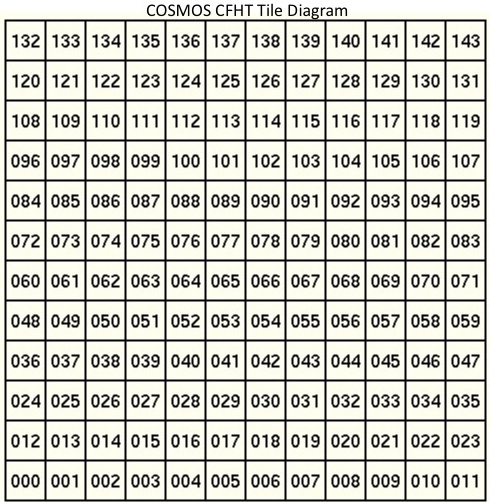 The COSMOS Archive serves data taken for the Cosmic Evolution Survey (COSMOS) project. COSMOS is an astronomical survey designed to probe the formation and evolution of galaxies as a function of cosmic time (redshift) and large scale structural environment. The survey covers a 2 square degree equatorial field with imaging by most of the major space-based telescopes (Hubble, Spitzer, GALEX, XMM, Chandra) and a number of large ground based telescopes (Subaru, VLA, ESO-VLT, UKIRT, NOAO, CFHT, and others). Over 2 million galaxies are detected, spanning 75% of the age of the universe. The COSMOS survey involves almost 100 scientists in a dozen countries.